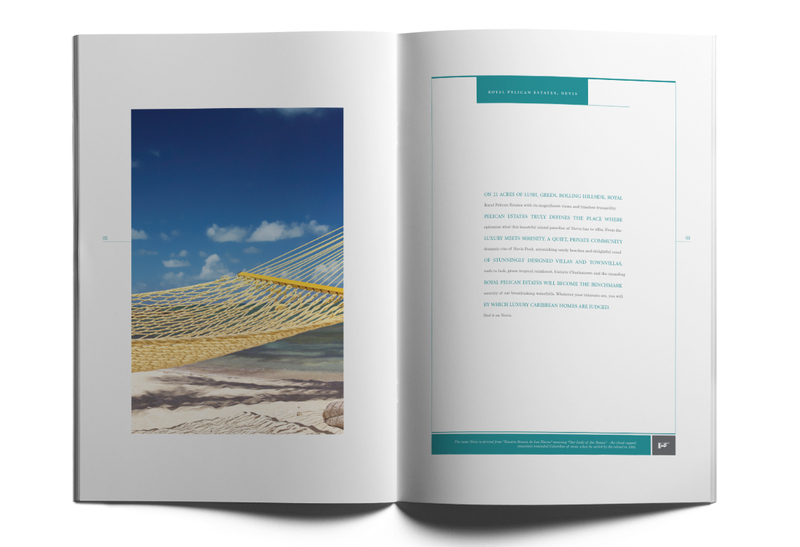 To create a brand and sales support materials for a unique Caribbean island property development that reflected the island's unspoilt idyllic charm as well as the high quality of the development itself. 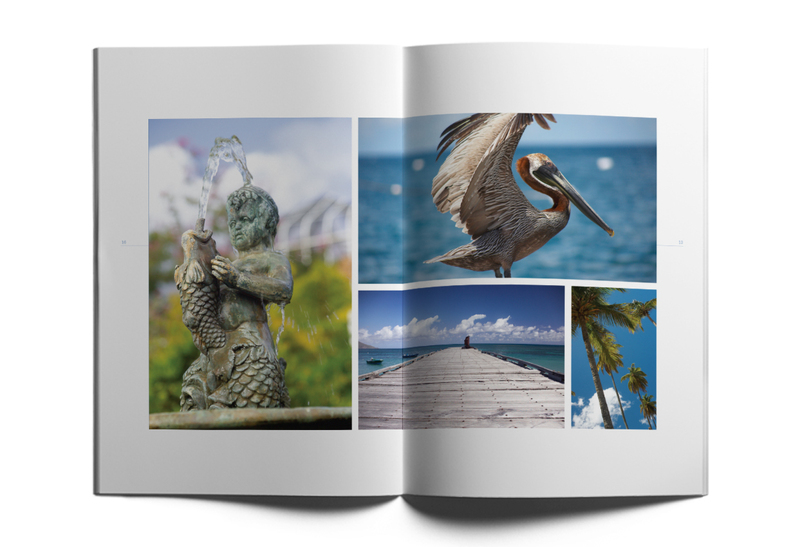 Following research we established that majestic grey pelican was synonymous with the island, and with the island being a favourite getaway for the Royals, "Royal Pelican Estates" was born. The silhouetted birds in flight across calm open seas echo the grace and tranquility of the ex-colonial island. We undertook a 7-day photo shoot on the island to capture images of the site, the island and it's historical buildings. 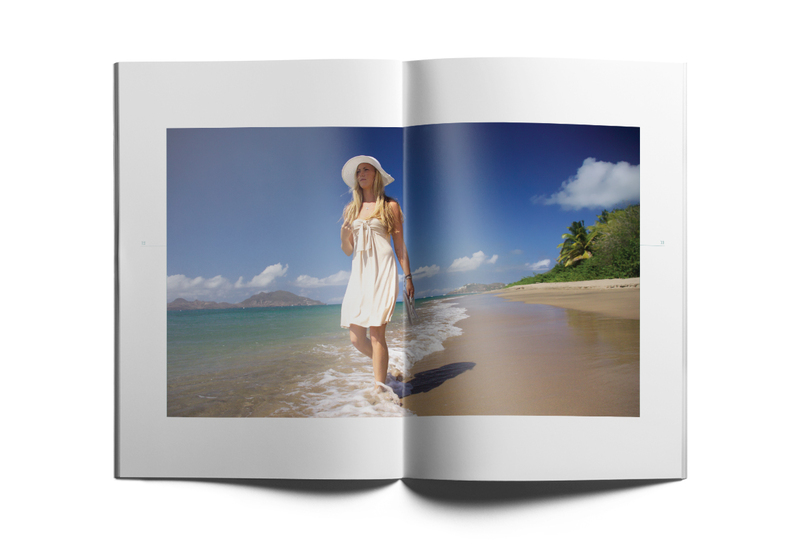 These images formed the foundation for the brochure, website, advertising, hoardings and personal invitations which included airline tickets and completion pack. 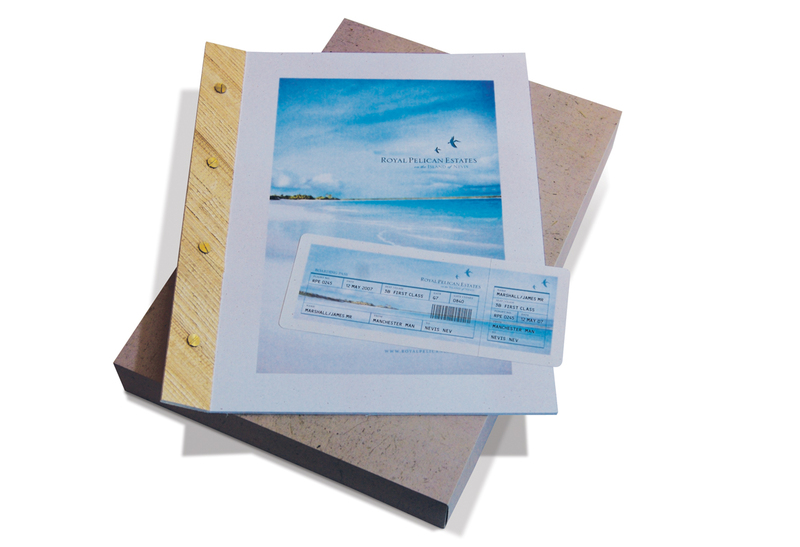 The brochure was designed to reflect the natural materials and uncomplicated way of life on the island and was printed using natural papers and finished using a hand sewn binding process. 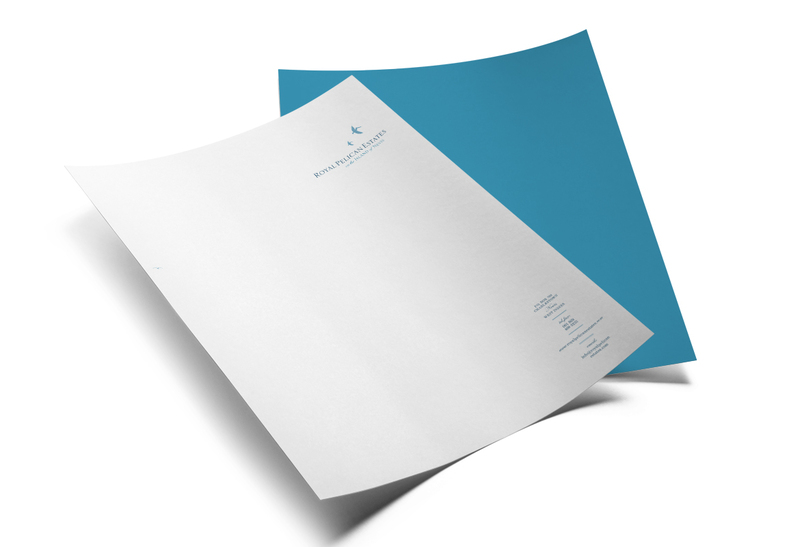 In addition to the branding, brochures and website, we also created a personalised 'completion writing set' to be left for purchasers upon their arrival in their new property. 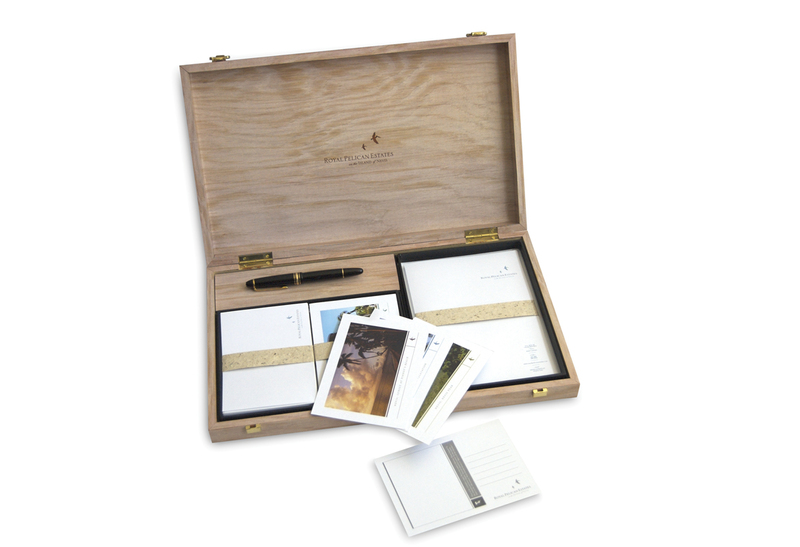 This took the form of a hand-made wooden box, etched with the brand and property details and containing personalised note paper, pen and selection of 'wish you were here' postcards that utilised the commissioned photography of the island. 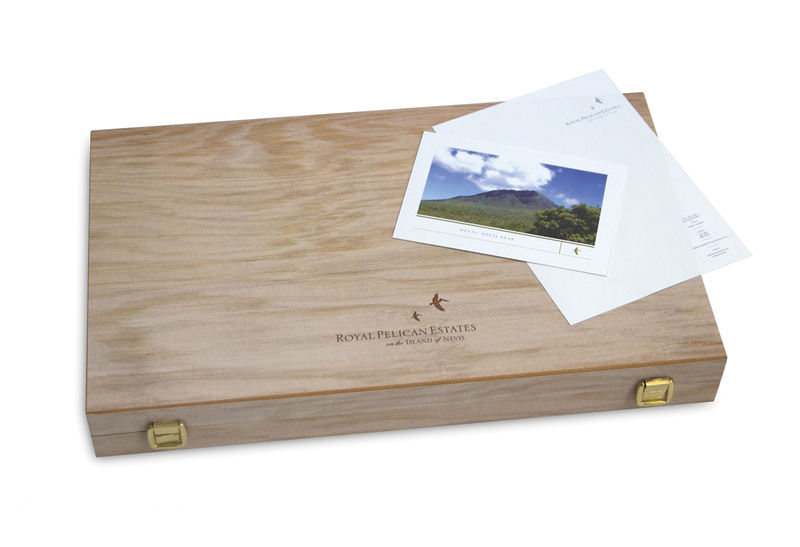 This box was accompanied by a Welcome Pack that consisted of the purchasers' favourite wine, a selection of preferred foods, fruit and their favourite music playing through the sound system on their arrival. 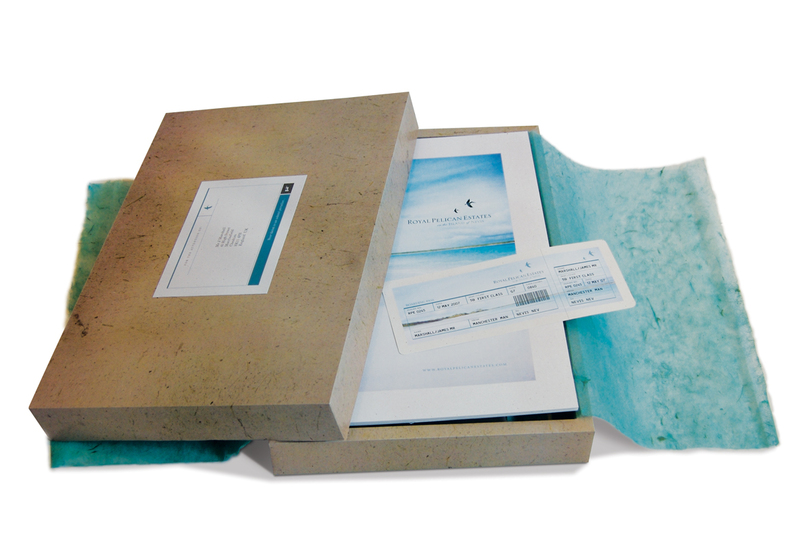 (This information was gathered during the client consultation prior to purchase). The end result was a highly personalised welcome the reflected the attention to detail and exclusivity of the development and the charm of the island.